EasyJet has had some great feel-good coverage this week for a story surrounding a four-legged friend of the airline. 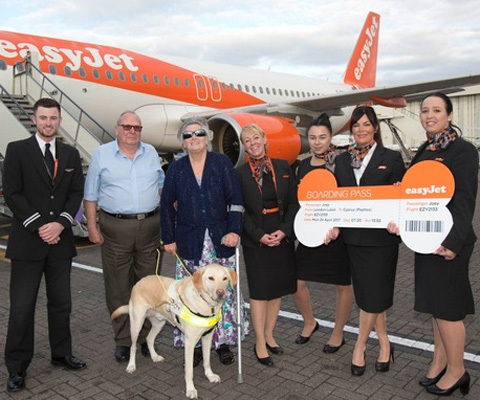 A Labrador named Joey, who acts as a guide dog for his owner Jan Gibson, became the first member of EasyJet’s “furry flight club” after embarking on his 35th flight. Jan and her husband Roger often fly between Luton and Cyprus with the budget airline and said that loyal Joey tends to sleep at their feet during the journeys they take. The furry flight club will apparently reward EasyJet’s most loyal doggy passengers with treats. This announcement, complete with some adorable pictures of Joey, his owners and some staff members in front of an EasyJet plane, has been picked up so far by BBC and trade titles like Travel Weekly and I’m sure more great coverage will follow. The stunt has been awesome for highlighting that the airline carries hundreds of passengers with assistance dogs each year and it was also a chance for it to show off their customer satisfaction levels among passengers with reduced mobility (a whopping 84% in 2016). Peter Duffy, the group customer and marketing director from EasyJet, said: “With 35 flights under his collar, he must be one of the most travelled dogs in the country and we are really pleased Joey, Jan and Roger have chosen to fly with us again and again.” How sweet. 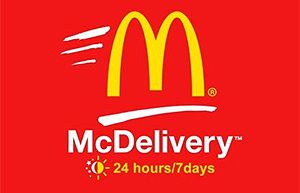 In other news, McDonald’s announced that it would be testing a home-delivery service in the UK this June, which has made waves in the media and got people very excited indeed. The fast-food franchise also announced that it would be offering fixed-hour contracts to all UK staff, including its 115,000 staff with zero-hour contracts, which is a positive move, and shares in McDonald’s reached an all-time high on Tuesday. A quick Google News search of ‘McDonald’s’ will show you plenty of positive coverage on the likes of The Guardian, BBC and Sky News. Nice. United Airlines is having another bad week. In a *face-palm* moment, the airline is under fire after a 10-month-old, 3ft-giant-continental rabbit died on one of its planes travelling from Heathrow to Chicago. 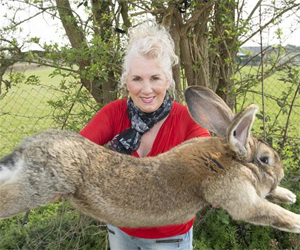 A mystery celebrity in the US bought the rabbit, which was called Simon and was the son of the world’s biggest rabbit Darius, who measured in at 4ft 4ins. The buyer paid £2,000 to have the rabbit flown over to the US, but it’s thought that Simon died in the plane’s cargo hold. United told the breeder, Annette Edwards, that Simon survived the flight, but died when being held in a storage room at the O’Hare International Airport. Some are calling the circumstances “strange” and “mysterious” and, of course, fingers are being pointed at United. The story of Simon the rabbit and his tragic journey has been covered far and wide, by the likes of the Metro, Guardian, Telegraph, BBC, The Sun and others; bringing a fresh PR nightmare straight to the door of the airline. 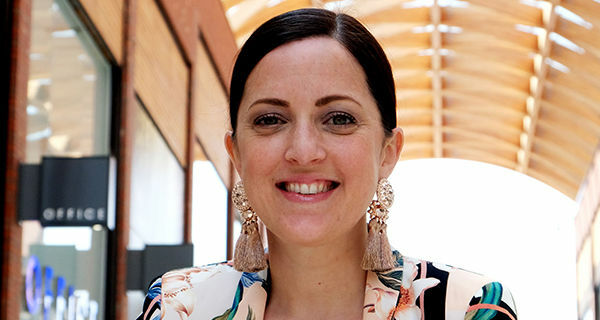 Sticking with the air-travel theme, Heathrow Airport has also received some bad press this week after holidaymakers who paid valeting firms up to £150 a week for parking whilst they went away on holiday over Easter were hit with parking fines. 275 customers’ cars were moved to council pay-and-display spaces (instead of the secure car parks they were promised) and when drivers returned they had been hit with £60 fines that would rise to £120 if not paid within a month. The £33,000 worth of parking fines left a sour taste in the mouths of people returning from holiday. Of course it’s the parking companies that are the bad guys in this story, not really Heathrow airport, but the airport is having to launch an investigation into it. 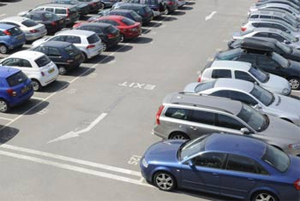 One company called Connect Parking confessed that it had put some of the vehicles in the council car parks, so people will certainly think twice before using it again.